What makes Humavox’s Wireless Charging Different? 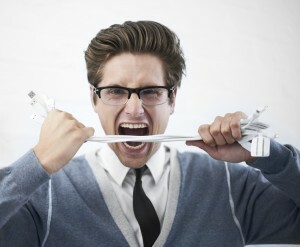 We’ve all had to deal with the frustration of cords. With the average U.S. family owning around 24 electronic devices per household the issue of cords, cordspace, and never having enough plugs to plug everything in. Every year, the number of electronic devices one owns expands…and somehow, everything always seems to need its own special charger. This means that every time you purchase a new device, you also need a new compatible charger. 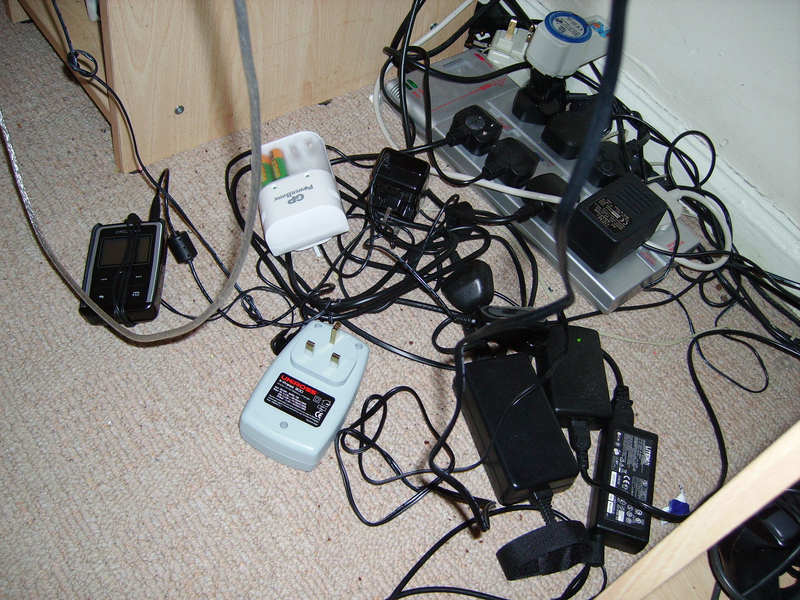 In a situation like this, we all find ourselves with a confusing pile of different chargers and wires to sort through whenever you need to charge our devices. That’s where wireless charging comes in! Wireless charging is the transmission of energy from a power source to a device without wires or cables. In simple terms, a wireless charging device could charge your phone without you having to plug anything in! Any wireless charging technology is comprised of two parts, a transmitter (the actual charging station itself) and a receiver (which is inside the device you are charging). The receiver receives transmitted energy and then charges the battery of the device. Imagine placing your phone down inside a bowl and it starts charging. The bowl would be the transmitter and inside your phone there would be a receiver that’s charging your phone! Did you know that the principle of wireless charging dates all the way back to 1831 and English scientist, Michael Faraday? But, Nikola Tesla is the legendary scientist and inventor we think of most when we think of wireless charging. 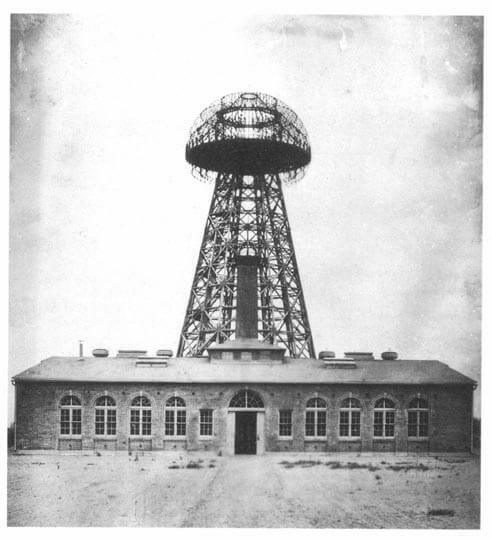 Tesla first demonstrated a wireless electricity transfer with his famously coined, Tesla Coil. Using high frequency alternating currents, the Tesla Coil illuminated gas-discharge lamps. Even though it has taken over a century, we are finally able to understand the principles developed by Faraday and Tesla in order to develop different forms of wireless charging. There are two main forms of wireless charging, inductive and radio frequency (RF) wireless charging. Inductive charging uses an electromagnetic field created by a magnetic coil in order to induce voltage in the receiver inside the device. This voltage is than used to charge the battery. 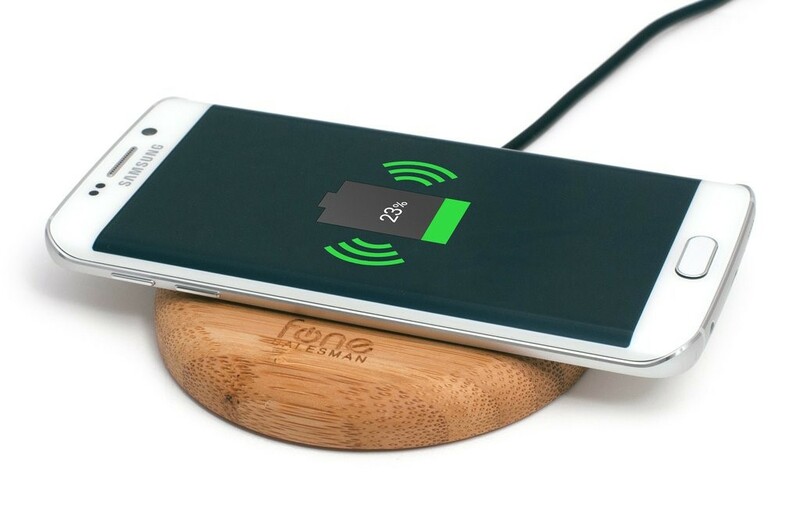 This type of wireless charging is most commonly seen on charging pads, such as the phone you may have for your phone. However, this technology is in no way new. For example many electric toothbrushes use induction to wirelessly charge. With induction, in order for the power to be wirelessly transferred, both the device and the charging pad must have the coils. The limitations here lie in the fact that the device must be perfectly placed on the charger (with the coils perfectly aligned), otherwise energy may be wasted, charging won’t take place effectively, and the device may over-heat. Having said that, induction may be a good and viable solution for many larger devices where precise placement is less of a hassle, such as electric vehicles, tablets and similar devices. Radio frequency wireless charging technology, on the other hand, utilizes radio frequencies also transmitted through a wireless charger and picked up by a receiver within the device (not a coil) that is then converted into DC voltage. 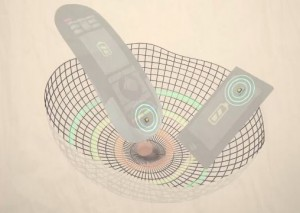 Unlike induction, RF wireless charging is a newer technology that has developed to provide a different user experience. Meaning that effective wireless power transfer does on depend on alignment of the transmitter and receiver or precise placement. Giving users an even easier charging experience, whereby they can simply drop their device and have it charge effectively. 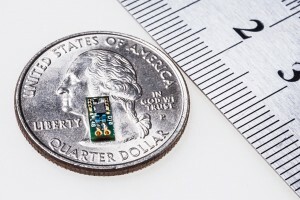 In addition, the transmitter and receiver are not restricted by measurements, allowing RF wireless charging to accommodate devices that induction cannot- i.e., devices that are not large or flat surfaced. 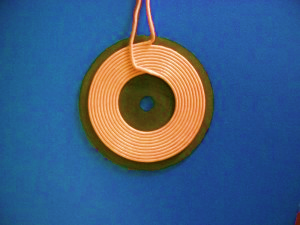 Because RF wireless charging has a receiver based mostly on electronic circuitry, and not a coil, it does not have the same physical limitations in size and shape. 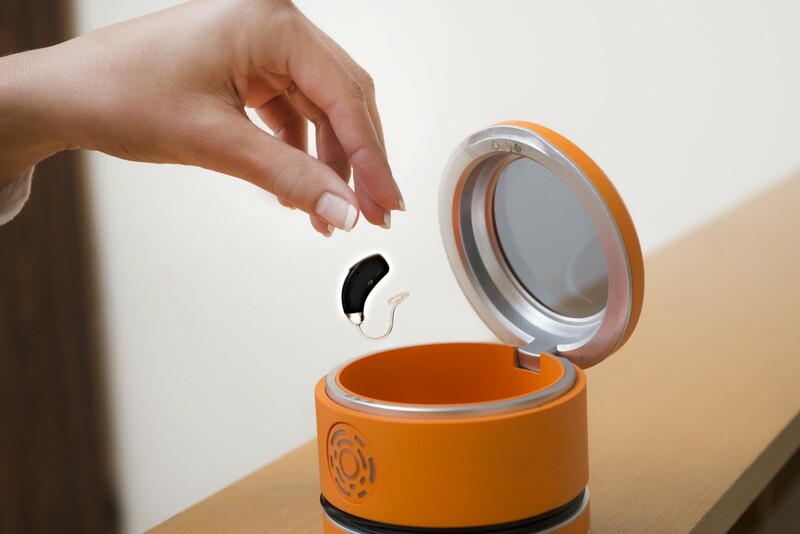 This allows the receiver to be integrated into the smallest of electronic devices, such as small wearables, hearing aids, and more. The limitations in this technology lie in its novelty. Given its fairly new character it is taking more time to hit the market and currently the development cycles seem greater (not plug & play). 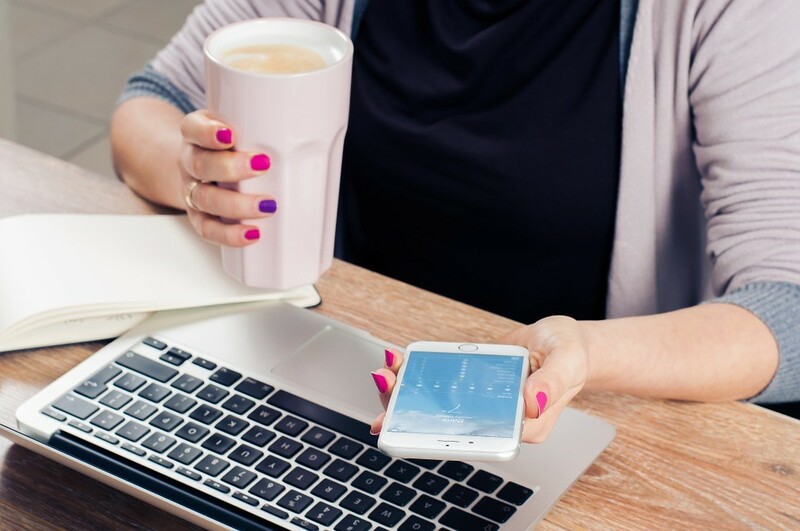 Let’s have a look at some of the most common uses for wireless charging in our everyday lives! Using wireless charging to charge your mobile phone is probably the most common use for inductive wireless charging today, as this type of wireless charging works well for larger and flat surfaced devices. Because of this, you can just place your phone down onto a charging pad without having to plug it in. 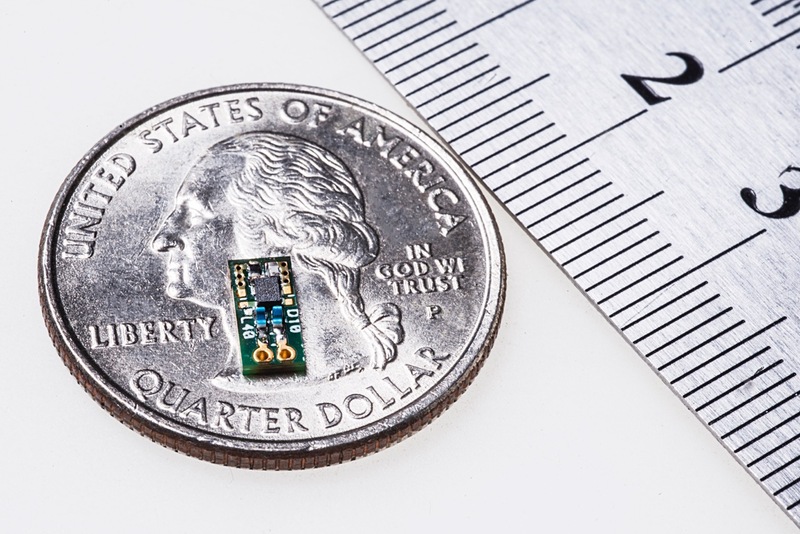 Wearables and other small devices work best using RF wireless charging, because they are not restricted to the size and shape of the coils in the same way that inductive charging is. As wearables become more and more popular, it becomes more and more annoying to have just another wire or cord in our lives. That’s where wireless charging comes in! Instead you could just place all of these devices into a drawer, bowl, or backpack and just let them charge! Even though the majority of electric vehicles on the market today still need to be plugged in to recharge, wireless charging will soon change that! Since we usually park our cars in one place, like a garage or parking spot, electric cars could use wireless charging from that spot! Turn your driveway into one giant wireless charging station and never plug in your car again! Smartphones and Wireless Charging – Pros & Cons? So what are the pros and cons of wireless charging for smartphones? Well, there are many benefits so let’s start with those! Let’s imagine a future where all smartphones use wireless charging. One day you decide to switch from the iPhone to an Android (scandalous we know!) Instead of having to get all new chargers, with wireless charging you would be able to use the same charger for both phones! In addition, you would never have to worry about your phone dying in class or at work because lack of available outlets. Other pros of wireless charging for smartphones is that it would eliminate sparks and debris that often arise from wired contact and prevent corrosion of the charger from oxygen and water. With anything, there are also some cons associated with wireless charging, the main one being that the technology just isn’t there yet. Wireless charging can be a little bit slower than charging with a cord and can be more expensive than just charging the old fashioned way. But all of this will change! 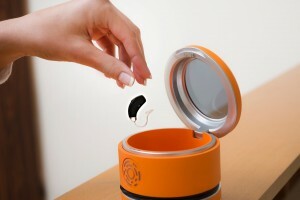 Saying goodbye to all of your chargers, wires, and cords would be the best benefit of all! Our Recommendations for Wireless Charging Stations and Pads! 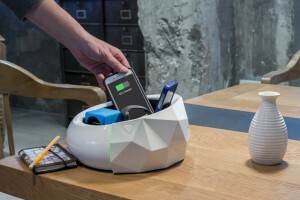 Are you in the market for a wireless charging station or pad? We’ve got some general recommendations for you! If you want a wireless charging pad that will look great in your home, then the WoodPuck: Bamboo Edition Qi Wireless Charger is probably the charger for you. Even though it’s not made of real bamboo, it looks and feels like the real thing and is just as durable. It is very small and discreet and comes with a dust cover for your phone’s Micro USB port. 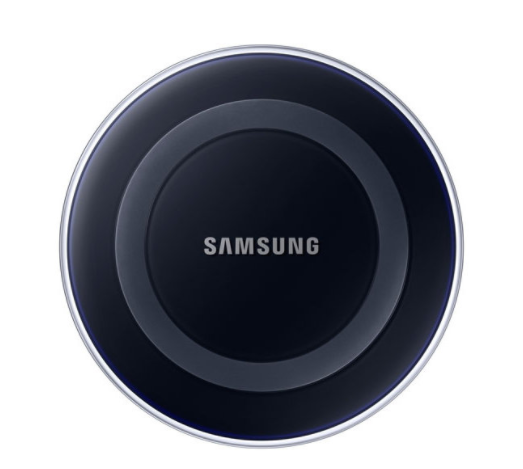 The Samsung Wireless Charging Pad is another great wireless charging system on the market. This charger has many of the features expected of a high quality compact charger such as an LED indicator that makes it easy to tell when your phone is charged. The charger can also ensure that a fully charged phone maintains its current battery level instead of overheating. With Humavox’s ETERNA Platform is wireless charging technology that lets you just drop and charge your devices! The ETERNA Platform uses RF wireless charging to charge various devices and was designed flexibly to support customization. What this means is that your charging system, could take any form, whether it be a drawer, a bowl, or the cup holder of your car. Just drop and charge! Lastly, if you are not looking to spend a lot of cash, then the Yootech Qi Wireless Charging Pad is the one for you! Costing less than $15, the Yootech Qi offers one of the best wireless charging pads in a slim and compact package. Besides its compact nature, the Yootech QI is very good at managing the heat of your phone and features a non-slip surface! This was just a brief list of all the wireless charging pads and technology currently on the market. If you are looking to buy one, make sure to get a wireless charging station that can prevent excess heat, has a strong and durable build, and can charge your phone even though the case! Wireless Chargers in the Public Sphere: What’s Coming Next? We’ve already seen the introduction of wireless charging into public spaces when Starbucks famously offered its customers the use of wireless charging pads while they sip their coffee. But, Starbucks is just giving a glimpse of the future, as wireless charging stations in public are not that common yet. But the keyword is yet! 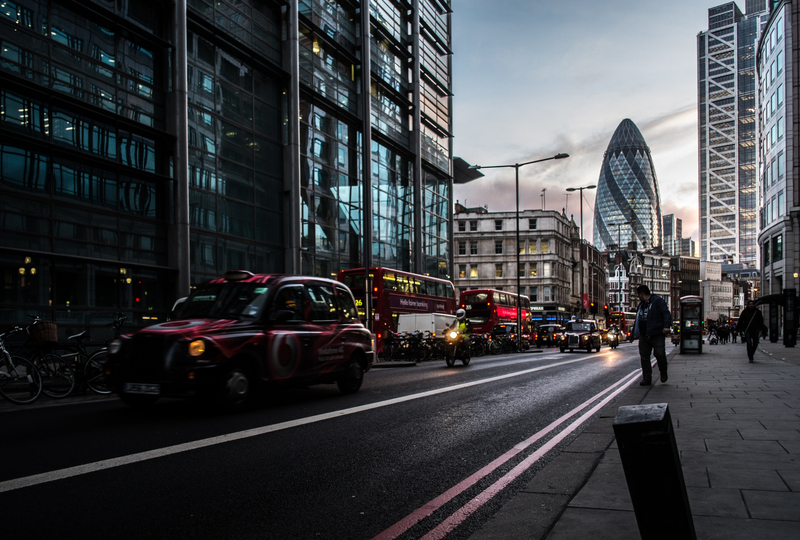 There are many ways that wireless charging can be easily integrated into the public sphere. In the near future, we could see wireless charging in our offices, favorite cafes, airports, hotels, restaurants, and even inside cars! The day is coming very soon when you will be able to leave your house without worrying about if you have your charger and if your phone will die. Wireless charging technology is becoming more mainstream and more companies are beginning to integrate the technology into their devices…wireless charging is unquestionably on the horizon! Since this technology will soon be integrated into our everyday lives, let’s discuss some actual pros & cons. All of the different makes and brands of wearable tech have their own special charger. This means that every time you purchase a new device, you need a new compatible charger. In a situation like this you will quickly find yourself with a confusing pile of different chargers and wires to sort through whenever you need to charge any of your wearable devices. 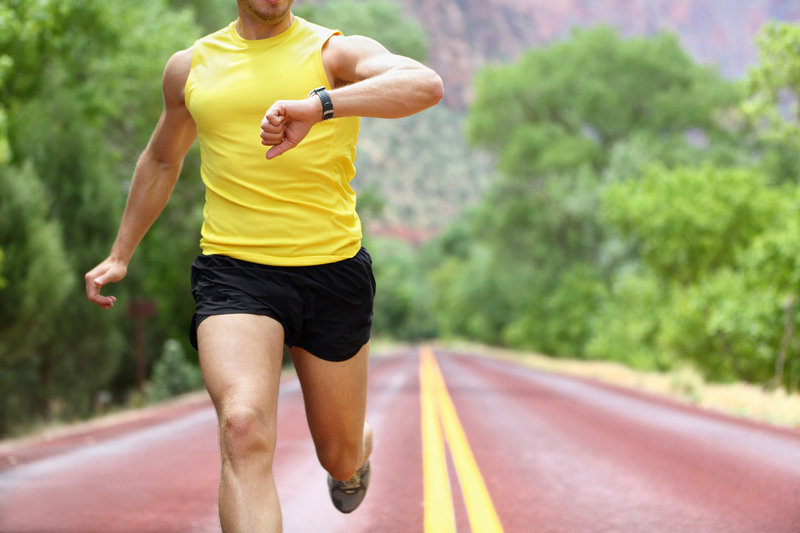 Imagine yourself going to charge your Fitbit, GoPro, and Wearsafe at the same time. You need to find each of their charges (probably spend time untangling them, if you’re anything like us) and then search your surroundings in order to find open outlets for each of them to charge. Who hasn’t had that moment of frustration? That’s why the market for wireless charging is becoming more and more lucrative with each new wearable device that comes out. The technology is not quite there yet. Wireless charging can still be somewhat slower, and the technology itself is more expensive to integrate than charging with the cord. However, with time all of this will change. The ETERNA Platform is Humavox’s proprietary wireless charging technology and it’s based on the utilization of radio frequency (RF) waves to wirelessly charge electronic devices. 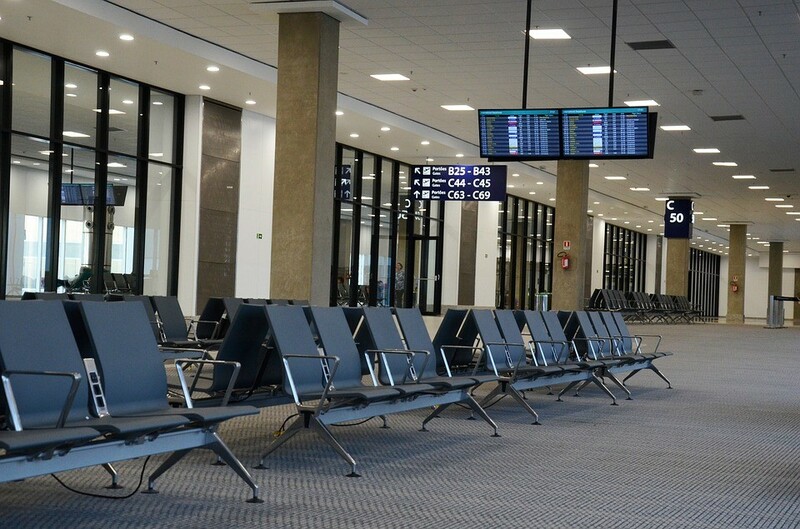 The platform is tangibly implemented through a transmitting charging station (freely designed charging station) and a small receiver integrated inside electronic devices. The platform was designed flexibly to support customization of the technology. Enabling manufacturers to integrate the receiver into varying target devices, as well as providing a tailor-made design of the charging station to fit the user’s preferences and habits, while maintaining the designer’s design values. Meaning, that the charging station could take any form whether it be a drawer, a bowl, the cup holder in your car or any other containing object. We at Humavox realized that a natural charging experience changes with different products and between different users. So we created a wireless charging solution flexible enough so it can wear many shapes and forms and fit into endless types of devices and products. With this guiding rule in mind, we built our wireless charging technology from the ground up as a flexible hardware platform. We call it ETERNA. ETERNA is tangibly implemented through a charging station that is designed freely to most naturally fit the user’s instinctive habits with our ability to manipulate it into almost any containing object such as a box, bowl, cup holder and so forth. As well as our small wireless charging receiver easily inserted into the smallest of electronic devices. Our receiver is able to integrate into devices where coils are too large to integrate, such as with smaller wearable devices. 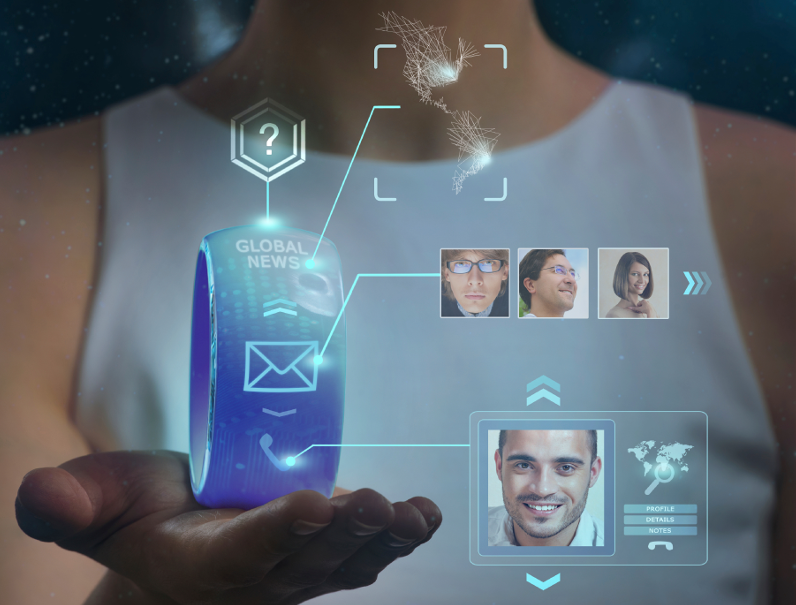 This enables integration in devices such as hearing aids, wearables and others, where competing technologies fail to give a viable solution. Many of which are a real pain point of end users due to impractically small replaceable battery or uncomfortable charging dongles. Moreover, unlike other wireless charging technologies, we do not require precise placement or alignment of the receiver and transmitter for efficient wireless power transfer. Users are provided with a ‘drop & charge’ experience allowing the device to charge at any possible orientation while fitting most naturally fits the user’s instinctive habits. Meaning, anyone can do it regardless of age or varying capabilities. Wireless charging is becoming more mainstream as more companies begin to integrate the technology into their devices. Even though wireless charging is slow to catch onto the mainstream, Samsung and several Android makers have already begun to integrate the technology into their devices, and iPhone is rumored to be working on wireless charging integration as well. Places like Ikea and Starbucks have also started introducing wireless charging pads into their facilities. Wireless charging is reaching a crossroad. 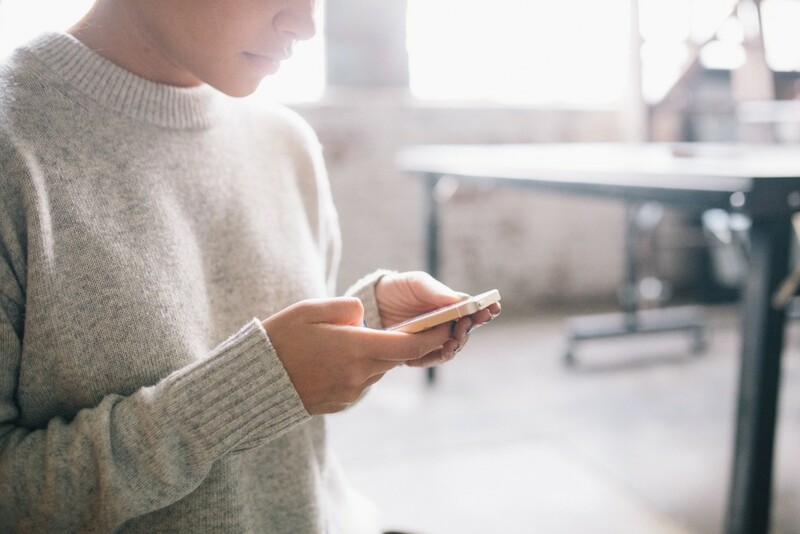 It no longer just about placing a smartphone on a pad – we need to think about the next generation of devices. It may take some time, but wireless charging is unquestionably on the horizon. So next time you hear about wireless charging, think of your future devices, be it wearables or IoT devices that will seamlessly or wirelessly charged in charging stations part of your everyday environment – no strings attached.